The next generation in Personal Locator Beacons (PLBs) is set to make station life safer for those working in some of the most remote locations in Australia. Pocket-sized beacons are currently being trialled on stations in the Northern Territory and Western Queensland, with the aim of improving the safety of workers in mobile and radio black spots. The system uses GPS and satellite technology to allow two-way communication with a station’s base. Pocket-based devices can be used to send pre-programmed messages to a station’s office via email, such as “I’m okay”. Office staff can use the system to send messages to staff as a daily check-in, especially important for those who work remotely for days at a time. A distress function sends an alert directly to the Australian Maritime Safety Authority (AMSA) triggering an urgent search and rescue operation. Station management can also track the location of staff in the event that they need assistance. Australian Agriculture Company (AACo) is assessing the fit of the system on four stations, including Canobie in the southern gulf region of Queensland. Canobie station manager Jack Morris sees the system as a way to bridge the gaps left by other communication technologies. “Mobile phone [coverage] is non-existent and there are UHF [radio] blackspots so we’ve taken these other steps to try and keep our people safe and to know where they are, “ he said. “We’ve got them with loader drivers and grader drivers, because they’re camped out a lot, and bore men and blokes delivering licks to cattle, so if they are in trouble they can press the button”. To date, the system has worked well according to AACo workplace health and safety manager, Joanna den Hertog. “We haven’t had any problems with the satellite messages; we’ve found that the satellite is reliable, Ms den Hertog said. “We have the option of sending pre-programmed messages like ‘I’m okay’ that get send to emails and we’ve had no problems receiving those. With an encouraging response to date from both staff and management, the system is likely to be rolled out across all properties in AACo’s 7 million hectare holdings. “We’re looking at application on all our properties where the manager identified there’s a risk that relates to a person who works in isolation, “ she said. Alex Thomas, an independent consultant who specialises in agricultural health and safety, sees the technology as an essential component of station life. 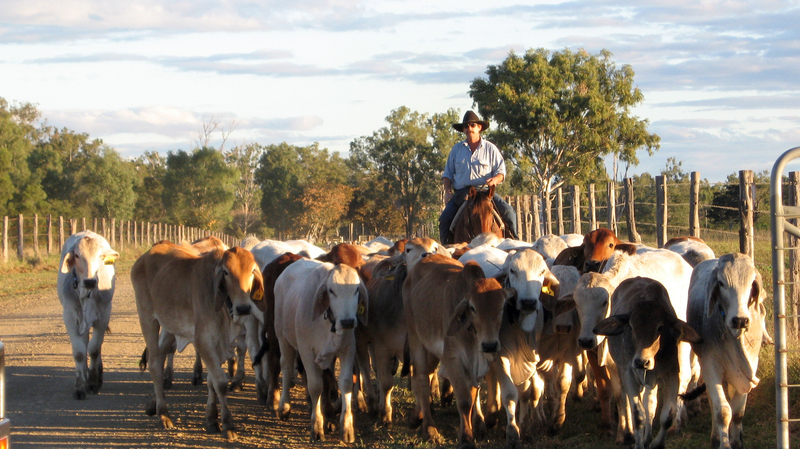 “Reducing the risks associated with working in remote and isolated areas has always been a challenge for pastoralists, however with the birth of new technology, anxiety levels of spouses and employers alike can be alleviated”.